With this landmark treatise on political economy, Adam Smith paved the way for modern capitalism, arguing that a truly free market – fired by competition yet guided as if by an ‘invisible hand’ to ensure justice and equality – was the engine of a fair and productive society. In Books IV-V, Smith offers his considered response to the French Physiocrats and assesses the nature of the mercantile system. 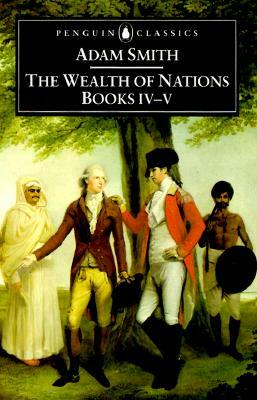 The Wealth of Nations (Books I-III) are also published in Penguin Classics.